The weather is starting to cool off, meaning that if your grill isn't reserved for football game tailgates, it's likely already in storage for the winter. But down here in Texas, it's almost always grilling season, and it's hard to beat a big, juicy grilled steak. 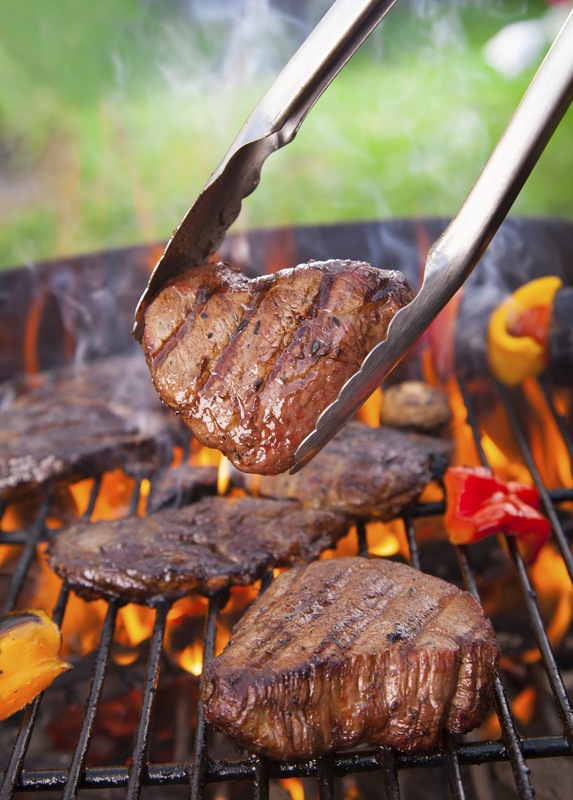 As easy as grilling the perfect steak might sound, steak is fickle and can become tough if you're not careful. Likewise, when your dealership is trying to create a rich marketing campaign, it's just as easy for things to go bad quickly. If you're craving a delectable steak and want to make your dealership's marketing campaigns as enticing as a filet mignon from a high-end steakhouse, here are some tips for you. How you like you steak prepared — whether it's rare, medium or well done — is entirely up to you. While some of us might prefer a medium-rare steak, even a well-done steak can be tasty. But no matter how you like it, you usually cut into it to make sure it's not too dry. Marketing campaigns can end up dry too. If you let a campaign run too long, it can start looking tired and overused to your potential customers. You need to make sure the campaign is producing your desired results. If it is, great job! If not, put it on pause and take it back to make it perfect. Be sure you have a way to measure marketing impact so you know when a campaign isn't generating leads anymore. The temperature of your cooked steak can dictate flavor, but seasoning and marinades can play big roles as well. While complex marinades are perfectly acceptable, you should consider using a basic seasoning if you want the meat to speak for itself. Sauces and marinades can complement a prime cut of beef, but a simple sprinkle of salt and pepper will allow the steak's natural flavor to shine. The steak, which is the focus of the flavor, is a bit like the message you want to convey in your marketing campaigns. Marinades, sauces and seasonings are like the ways you try to draw attention to your campaigns. It's easy to let the bells and whistles — such as a script-heavy website or a big PR stunt — take precedence over the message. Use only as many attention-grabbing techniques as you need, because using too many can smother your original message, leaving prospects wondering what you're even selling. There are many cuts of steak to choose from when you want to grill some meat, but most are pretty similar in thickness and shape. If you want to try something really different, look at a "cowboy cut" rib eye — just make sure you grill it right. Since it's a thick, bone-in cut, the cowboy cut can't just be thrown on the grill for a few minutes. It takes longer to cook over low heat and must be flipped frequently. That time investment can create a dinner that's a little different and delicious. It might take more time to see success when you stray from your traditional approach, but a new approach can be worth the wait if it's done right. Much like how you don't want to overextend your traditional campaigns or use too many bells and whistles, a new approach should follow the same pattern. Just be sure you take the time to make it right, because even a minor mistake can be expensive and damage your dealership's brand. So how do you like your marketing campaigns prepared? Do you like to keep them simple and on-message, or do you go the extra mile to make them stand out? Let us know in the comments.